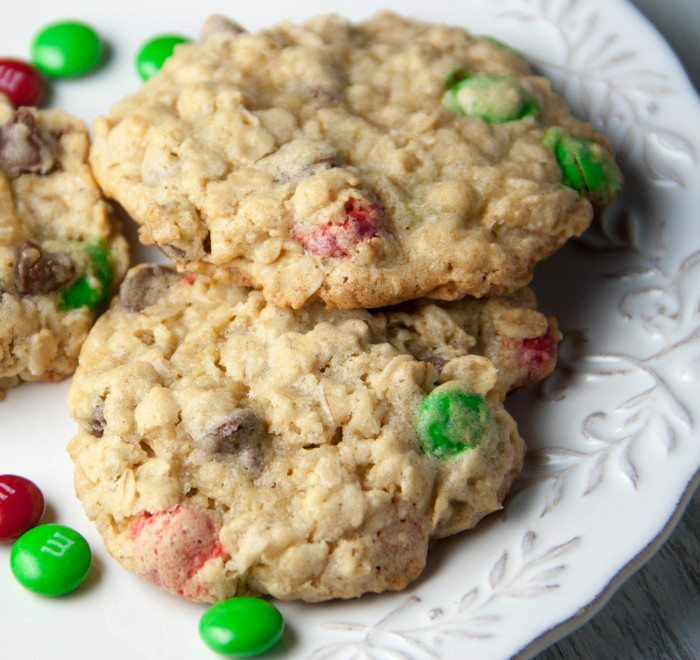 Chocolate Chip M&M Oatmeal Cookies. They’re thick, soft, and chewy! 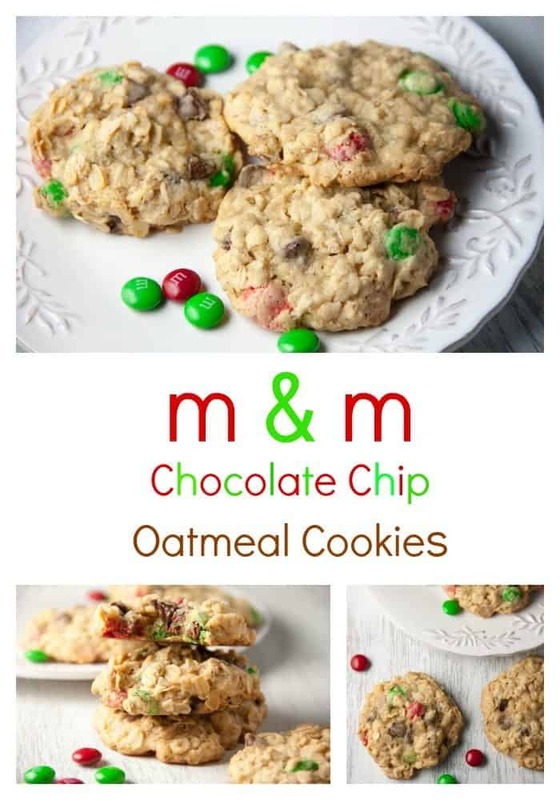 Perfect this holiday season or whenever the craving hits. I have a confession to make. Oatmeal cookies were never really my thing. I’m not saying I don’t like them or that I still wouldn’t eat like 2 3 5 of them, but if there is a tray of cookies out I’m going for the chocolate chip every time. 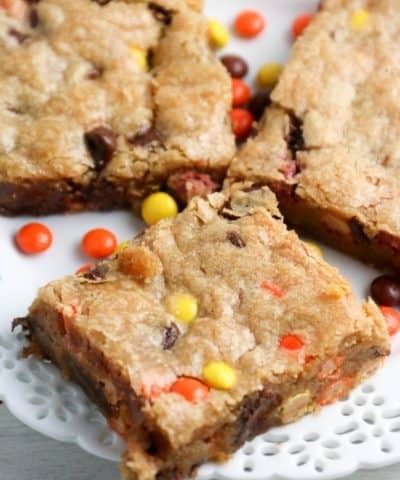 However, you put M&M’s AND chocolate chips in them- well now that’s a different story. I realized after making these cookies that it wasn’t the oatmeal cookie’s fault all these year that I didn’t reach for it first. It was the additions to the dough that I just didn’t care for. I’m sorry but raisins vs chocolate? Um, is that even a contest. Chocolate always wins. So it turns out I do LOVE oatmeal cookies. 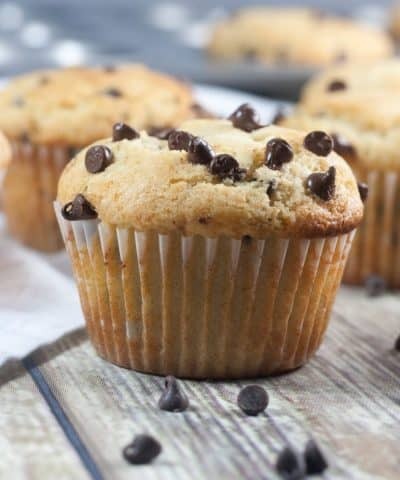 The soft chewiness, the toasty oats, the brown sugar vanilla scented dough, the chocolate chips melting out. Yup, I’m a fan. Who knew? 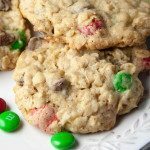 This cookie recipe starts from a classic Cook’s Illustrated Oatmeal cookie, but of course with all the yummy changes. Instead of raisins, chocolate chips. And instead of nuts, M&M’s. Cook’s Illustrated cookbook is one my favorite go to cookbooks. 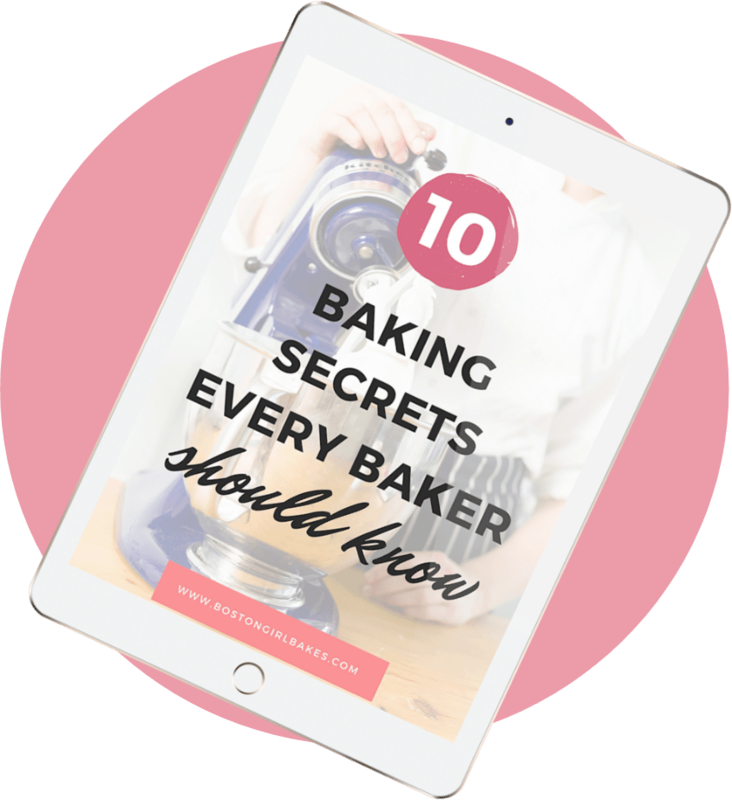 You can check out the my other go to baking cookbooks here. A bag of M&M’s around my house. Pure torture. It took all my willpower not to eat the whole bag before mixing up these cookies. Your dry ingredients: First whisk your dry ingredients together- your flour, baking powder, and salt. 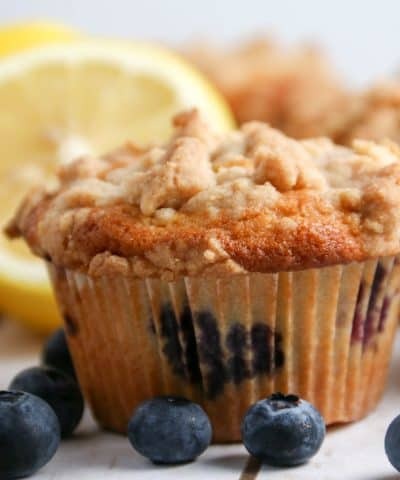 Just don’t add your oats- those will get added last. Keep this all in separate bowl to be added to your wet ingredients later. I used all purpose flour here. Flour= gluten= structure. 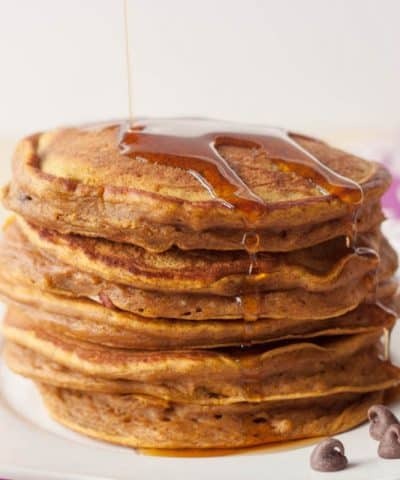 If you decide to use a whole wheat flour, I recommend only replace 1/2 of the AP flour with it. 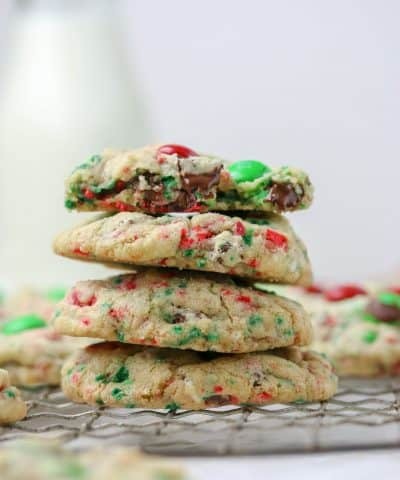 Baking powder will give your cookies the lift they need. And of course salt. 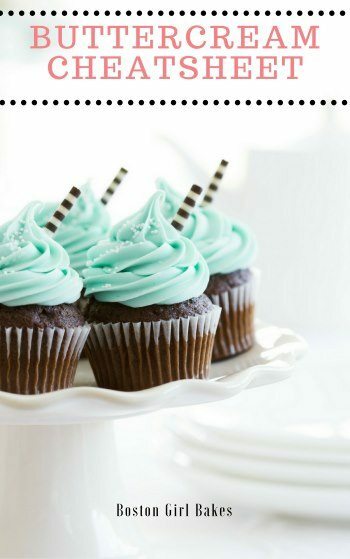 All sweet things need a little salt to balance out all that sweet. It’s all about balance folks. Sugar– both brown and white. 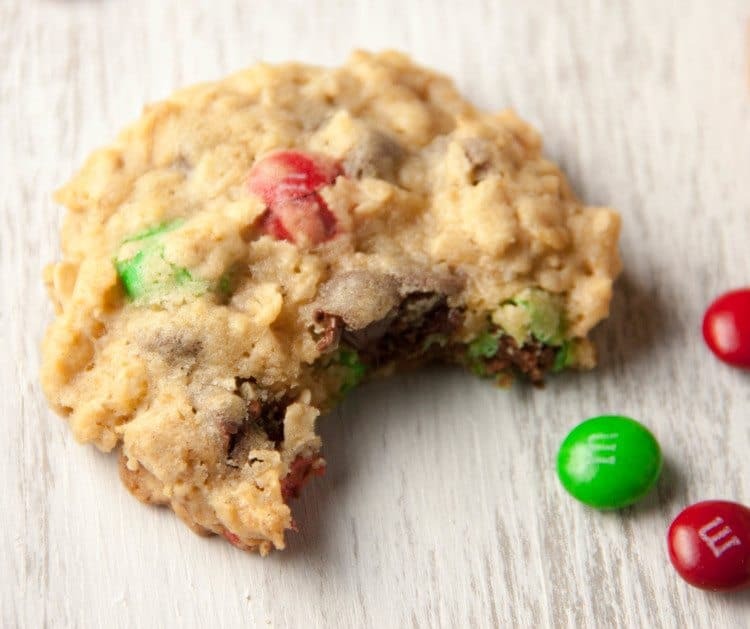 This cookie calls for equal parts. White= thin and crisp. Brown= tall and moist. This cookie has a perfect balance of both. Oats– Ok, I know- oatmeal cookies- duh. Of course we need oats. But the KIND of oats does matter. You need to be sure to grab a container of old fashioned oats, not quick cooking oats. Quick cooking oats are a more broken down processed version and just don’t hold up as well. 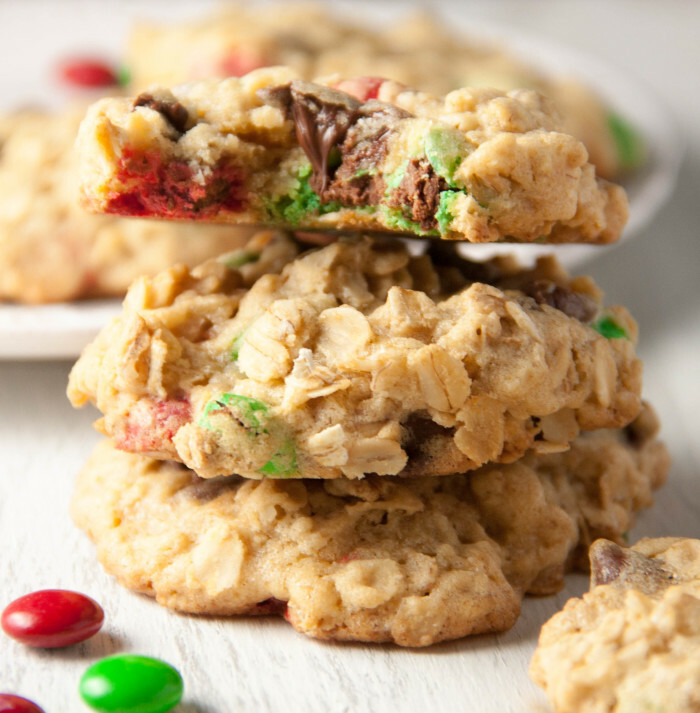 Old fashioned oats give this oatmeal cookie structure and that’s key in a good cookie. Creaming Method: You also need to cream the sugars and butter together. When I first started making cookies (I mean like we’re talking wee little here people) I never let the butter and sugar cream long enough. Patience- not really my thing even today. But trust me, let your butter and sugar get all happy for about 3 minutes or so. Cream on a speed of 2-3 of your mixer- don’t cream too fast. Don’t think “Can’t I just cream faster for a shorter period of time?” Sorry, you just can’t. If you don’t cream long enough, you won’t incorporate enough air into the butter. Why do I need air? 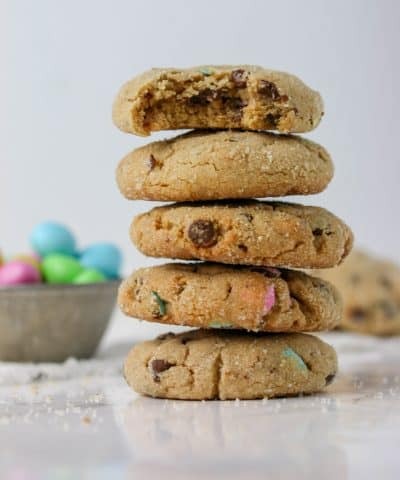 Remember that baking powder you added, well when that get’s activated, you need that air to help trap those bubbles made by the baking powder to give your cookies some lift. Otherwise they are hockey pucks. Hockey pucks = not a good cookie. Would I make these cookies again? You bet! The best part is too they freeze well. Simply scoop using a 2-inch cookie scoop and freeze. When you go to bake them simply place them on your cookie sheet and bake. Just add a couple minutes of baking time. 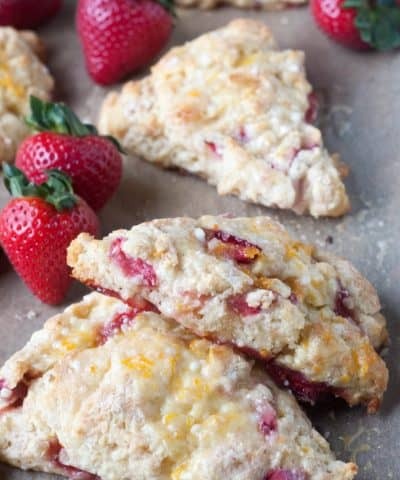 If you like this recipe, let me know and leave me a comment! or simply subscribe and get new posts sent directly to your inbox! 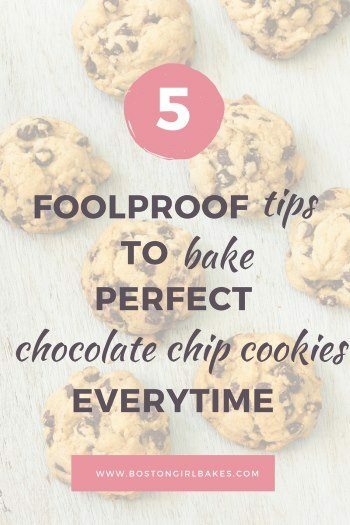 As a thank you I will send you my 5 foolproof cookie tips. Kitchen-aid mixer – I love my stand mixer for making quick work of the creaming step. This is my brand new mixer I just received! A thick and chewy oatmeal cookie loaded with M&M's and chocolate chips. 1. Adjust the oven racks to the low and middle positions and heat the oven to 350 degrees. Line 2 large baking sheets with parchment paper or spray them with nonstick cooking spray. 2. Whisk the flour, baking powder, and salt together in a medium bowl. 3. Either by hand or with an electric mixer, beat the butter on medium speed until creamy. Add the sugars; beat until fluffy, about 3 minutes. Beat in the eggs, 1 at a time. 4. 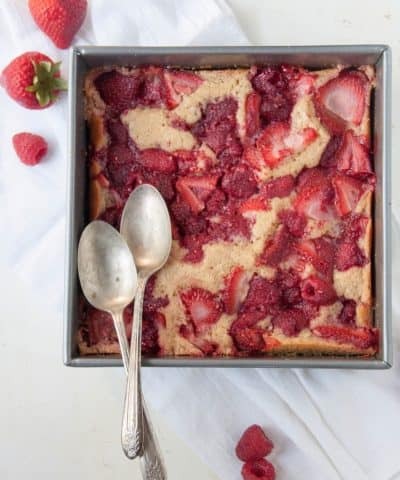 Stir the dry ingredients into the butter-sugar mixture with a wooden spoon or large rubber spatula. Stir in the oats, candy, and chips. 5. Working with a generous 2 Tablespoons of dough each time, roll the dough into 2-inch balls. Place the balls on the prepared baking sheets, spacing them at least 2 inches apart. 6. Bake until the cookie edges turn golden brown, 22 to 25 minutes, rotating the baking sheets front to back and top to bottom halfway through the baking time. Let the cookies cool on the baking sheets for 2 minutes. Transfer the cookies with a wide metal spatula to a wire rack. Let cool at least 30 minutes. If you freeze them- scoop first and place on a parchment paper lined cookie sheet. Freeze for 30 minutes or until hard. Then place cookie balls into a zip-loc bag and freeze. 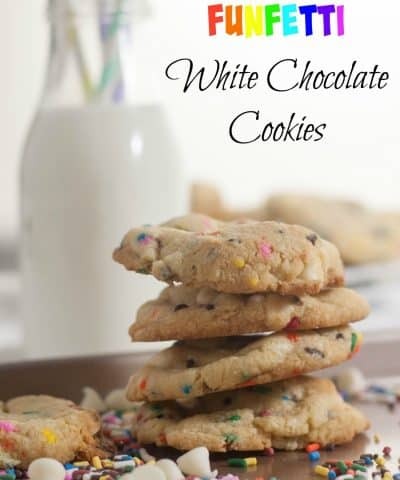 When you are ready to bake them, take them out and place on your cookie sheet 2-inches apart. Add a couple minutes of baking time on to 22-25 minutes. 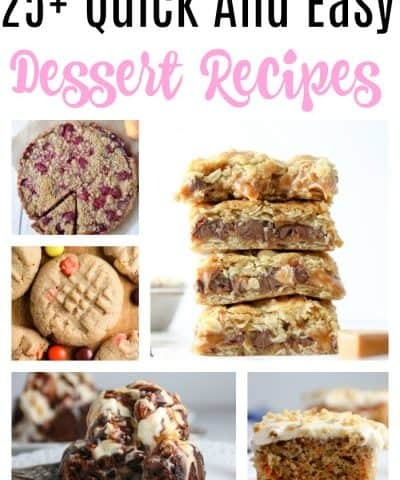 I generally always go for the chocolate chip cookie too, but these look totally amazing! I don’t have any unsalted butter. Could I use salted butter and get away with it? If you use salted butter, I would simply omit the 1/2 teaspoon salt the recipe calls for!